Rio de Janeiro’s carnival, the world’s biggest, can be traced to the 18th century and runs from Friday night to noon on Ash Wednesday. Fesivities begins on the Friday when the city’s mayor hands the keys to the city to the mythical King Momo who leads the festivities. Hundreds of street parties – blocos – are held from mid-January to mid-February. Bands, costumes and revelers make up the millions partying in Rio’s city centre on Carnival Saturday. Carnival’s spectacular highpoint is the parade of floats and dancers of Rio’s top samba schools competing at the sambadrome arena until dawn. Samba, the heart of carnival, was born in Rio de Janeiro in the early 17th century at Pedra do Sal the site of a former slave market for kidnapped and enslaved Africans in the old town. The first samba, a ritual Candomble dance to drums and handclaps, is believed to have been composed there. In 2017 Vincentians and visitors will celebrate the 40th Anniversary of Vincy Mas, the island’s premiere cultural festival. The Mardi Gras Parade of Bands and the Dimanche Gras Show are the climax of the National Calypso Monarch Competition, the King and Queen of Carnival and Panorama. Junior Carnival (Mas), Junior Calypso (Primary and Secondary Schools) Junior Soca Monarch and Junior Panorama join with the Soca Monarch competition in Victoria Park’s Carnival City. In 1976, the Carnival Development Committee (CDC) with Calypsonians, Panists and Mas makers, decided to move Carnival from its traditional pre-Lenten period to 25 June – 05 July of that year in order to generate revenue at a later period in the year, to ensure more participation by Vincentians of the diaspora and in recognition of the stiff competition from TTs bigger, more renowned festival. Shakespeare and Carnival in one place? Carriacou is the place for that. Of course, there’s the street parade, soca, pretty mas bands, calypso and Jab Jab. But the unique Shakespeare Mas is a standout as brightly dressed orators exchange verses. A stroke of the opponent’s stick is the punishment for those who mess up their lines. Carnival in Jamaica began in the 1940s when students at the University of the West Indies recreated campus versions of their home islands festivals. Take a jump to the late 1980s and JA’s carnival history moves on with music pioneer Byron Lee and others bringing the event to the Land of Wood and Water. April 22 1990, culminated a week of activities which saw the first Mas festival as Byron Lee & Friends staged the inaugural JA Carnival. Three decades later, it became the Kingston Metropolitan Area’s premier festival and one of the biggest Jamaican events. Bacchanal Jamaica is the number one Mas Camp formed 17 years ago when Oakridge Boys, Raiders, Revellers and others joined together as one. JA’s jump up begins when Lent is over, with a series of big fetes, and climaxes with a day’s road march partying on the Sunday after Easter Sunday when masqueraders chip through the capital city’s New Kingston area passing through famous thoroughfares – Hope Road, Constant Spring, Half Way Tree. 2017 sees the event’s return after a seven-year break. Expect to see reggae superstar Beenie Man as well as Trinidadian soca artist 5 Star Akil. A series of small street festivals heralded the birth of Aruba Carnival in 1954. Festival organizing body Stichting Arubaanse Carnaval (SAC), was founded on November 11 1966, and at 11:11 a.m. each year kick starts the season. 1955 saw the island’s first Carnival and debut of the official Aruba Carnival queen. Two years later, traditional Grand Parades began. Aruba’s oldest social club, Tivoli, the first to have a pre-Lenten celebration in capital Oranjestad, in February 1944, has produced the Lighting Parade, a nighttime parade since 1981. Aruba also witnesses Children’s Parades and with Grand Parades in second city San Nicolas and capital Oranjestad revellers shut down both cities. Whilst the capital city has the largest and longest parade with the most spectators and participants San Nicolas’s jouvert lasts until dawn. 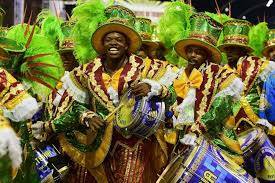 Winning songs selected at carnival competitions include the best calypso and the best road march. Like sister isle Curacao, the midnight burning of King Momo on Shrove Tuesday announces the end of the season. Government support and the enthusiasm of volunteers and carnival lovers has sustained Curacao’s carnival since 1969. The island’s Tumba music has become the major influence since the people took the reins from the elites and organized a more mass orientated festival. With the history of Holland’s intervention and colonization expect to see a Dutch flavour mixed with the ingredients of the pre-Lenten events seen in other Caribbean islands – j’ouvert, kids and adults’ parades, masquerade and music trucks. Curacao carnival’s unique selling point is seen with Prince and Pancho, vestiges of medieval European characters modernized for the culture of Curacao. Carnival Queens on decorated carriages are a highlight of Carnival Sunday’s 'Gran Marcha' (The Great March). After the 'Marcha di Despedida' (Farewell March) a massive Willemstad crowd watches a fireworks show which sees the burning of Rei Momo (King Momo). Representing the sins to be cleansed by Lenten fasting, the effigy is set ablaze the day before Ash Wednesday. Carnival lovers can expect a slightly different experience with Curacao’s carnival. Shaun Ajamu Hutchinson is Thenewblackmagazine.com’s Deputy Editor.